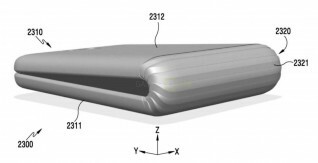 A rumor last month said that Samsung will out a foldable smartphone sometime in the Q3-A4 2017 timeframe. However, if a new report is to go by, launch might not happen until next year as the phone will enter production in Q4. The report, which cites sources from Taiwan's handset supply chain, says that the tech giant will begin a "small production" in the fourth quarter of this year, adding that mass production isn't expected to start until H2 2018. The reason behind this delay is said to be technical issues involving the production and reliability of the PI (polyimide)-based plastic cover, which is a key component as far as production of foldable smartphones is concerned. "While PI substrates are being produced in large volume currently, mass production of PI-based plastic covers with reliable quality is not expected to come until the first half of 2018," the report cites sources as saying. In case you missed, Samsung is rumored to showcase a foldable phone at this year's MWC.